Mount Pleasant Granary - Wednesday 9th. July, 2014 – Off we go! Up and walked Mix. It is a glorious day! Got everything organised and packed into my car and at five past eleven we set off from Mount Pleasant for Barnoldswick, arriving at the narrow boat at 2.45 (having stopped for petrol at the turn-off for Lindisfarne, and having got caught in some pretty heavy traffic on the A1. I was just a little sleepy as, just before going to bed last night, I had discovered the Order of Service for Arrochar, so I completed the music and sent it off to Jamie before going to bed. Still that means that I don’t have to rush home on Saturday to get it done. 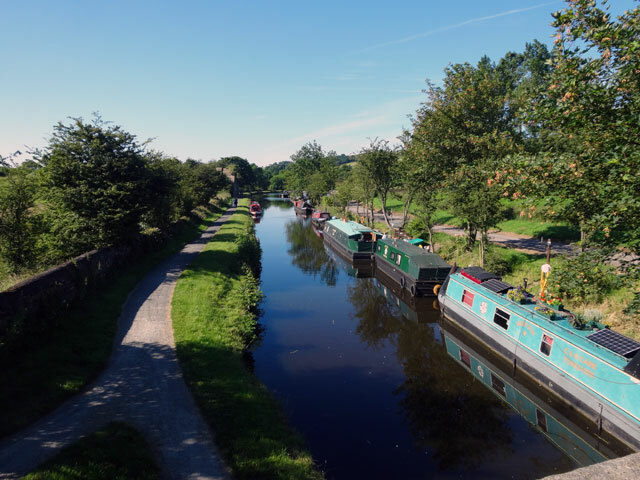 On arriving at the boat we did our initial inspection which showed everything to be in order and then we took the dogs on a walk to ‘The Anchor Inn’ at Salterforth (along the tow path). The weather is even more glorious than ever and everyone is in shorts and taking things easy. 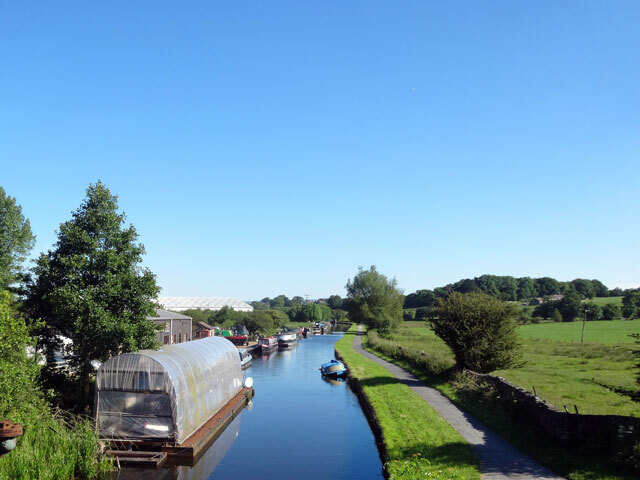 We got the battery charged up (by running the engine) and then Rachel went off into Barnoldswick to do some shopping. I stayed on board and listened to the Test Match (England against India – India batting and doing rather well on an apparently very placid pitch). On Rachel’s return we ate and it was good to eat around the boat table again. I walked Mix and ‘phoned home. Spoke to Olive who told me that they, too, were enjoying the heat wave. Mum had gone off with her friend Annie to an event at Gavinton, part of the Common Riding celebrations with seventy horses and lots of food. I retired to bed early and listened to the Argentina versus the Netherlands World Cup semi-final (won by Argentina on penalties) and then quickly fell asleep. Everything is so very restful here on the boat. I used to think that it was letting go after the hard work of parish ministry but it seems it is just the natural change of pace of boat life. Everything is slow and measured, calm and so very relaxed.